Chronic Pain Syndrome (CPS) is a common problem that can present as a major challenge because of its complex nature and often unknown cause. Riders who have been in an accident may experience several types of injuries such as sprains, bruises or fractures. In many cases, victims of trauma will experience intense, ongoing pain as a result of their injuries, which appears disproportionate to the events of injury. Muscle or nerve pain can become chronic, thus interfering with the way a person carries out daily activities. 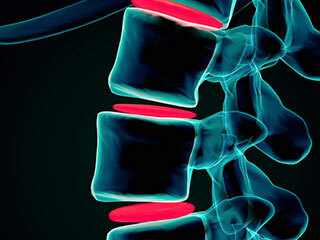 Other complications associated with chronic pain can make it worse. Some examples of these are trouble sleeping, anxiety, depression, post-traumatic stress disorder, fatigue and anxiety. People suffering from CPS for a determined period may be eligible for compensation. In order to successfully advance CPS cases, pain specialists are required to examine suffering individuals and offer opinion of causation, diagnosis and prognosis. At Motorcycle Lawyer, we are familiar with these type of injuries and know the specialists that can help advance our client’s claims to receive what is fair within the system. If you or someone you know has been injured, call Motorcycle Lawyer directly at 604-612-6848 or toll free at 1-844-BIKE-LAW or send an email for the location nearest you and to receive your free initial consultation.